One of the most versatile women of the country, Srimathy's is definitely a way of life that most women dream of. From giving opportunities for young kids to get early exposure, to serving the society on a large scale, she has done it all! You are sure to go back with unlimited inspiration after this 5 minute-read! What if when you were still in your school days, and were given a chance to visit the NASA centre and explore the field of science and technology? What if you got an opportunity while you were still a young kid, and were taken to the world’s best universities and were helped to understand the different subjects of studies available out there and the scope to each of the industries? Your immediate answer is sure to be “I would have been more clear about every course of study and would have been wiser in choosing what to pursue.” That’s what Dr. Srimathy Kesan currently does – helping the Indian students in taking right decisions, by giving them the right exposure at an early age, through her venture Space Kidz India, that works towards promoting Art, Science and Culture for the students of the country, and to create an International Platform to give them the right exposure. 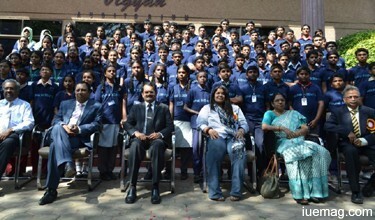 The program has ignited more than 1500 young minds since its start. As amazing as that sounds, building something as big as this, was not at all an easy journey. Born and brought in a typical south Indian family that took care of her delicately, Srimathy was made to get married while still in her 2nd year of college. Although here a dream to make a difference and contribute to her country by joining the army was rejected by her father, she hasn’t failed to fulfil her dream, in becoming the reason to contribute to the growth of the country and its people in a much bigger way. Having been married and then taking a decision to enter the world of entrepreneurship is not easy for a woman, especially in India, where in many families, women are still expected be house wives and take care of the family. Even if a woman wishes to start something, permission from the husband, in-laws and relatives becomes a requirement. Although it wasn’t easy for Srimathy to convince her family to start off, she managed to convince the family to allow her do what she wanted to. That was not the only hurdle of the journey, although she had the perfect clarity about what Space Kidz India truly had to be, she had to get permissions from some of the high level authorities of NASA. After having gone through many rounds of discussions, the proposal to bring Indian kids to NASA center was finally accepted. Now that, Srimathy moved a step closer to her goal, getting schools to collaborate and get the affectionate parents to agree to send their kids for days together, was definitely a bigger challenge. 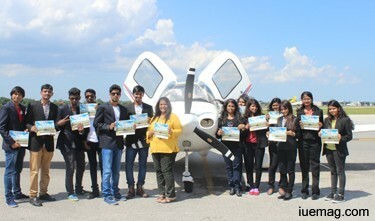 Space Kidz India has associated with some of the top universities including Embry Riddle, University of Central Florida — United States, York University, Canada, and Moscow Aviation Institute to provide workshops for Indian high school students in the field of Aviation, Engineering and Humanities. This kind of an exposure is truly a requirement for a student to be able to make right decisions in life. Not just visiting these places, but travel in itself teaches them lessons of life. 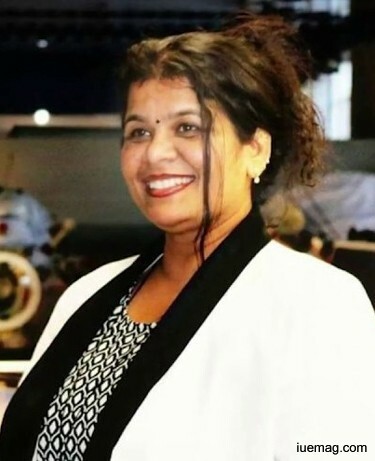 Srimathy’s passion and commitment also made her one of the 1000 Women entrepreneurs from around the World who were chosen to participate in a collaborative management workshop funded by Goldman Sachs at the Indian School of Business, September 2012. She was honored with a doctorate by the Cosmopolitan University for her exemplary work in the field of education. Dr. Srimathy is also the first Ambassador of the Euro Space Centre, Belgium, and the Russian Space agency. Cosmonaut Shalizan Sharipov, the Hero of Russia, and Director of Yuri Gagarin Space centre, Moscow and Astronaut Marsha Ivins - NASA were invited by her to India to share with Indian students, their experience of living in space. She has been the first in the entire country to have provided this kind of experience to young champions. The students who have been a part of various programmes of Space Kidz India, have been gaining international recognitions for their talents. Apart from managing her family and Space Kidz, she has also managed to serve the country as a social activist. , Dr.Srimathy travels across Pan Indian cities to promote awareness about Breast Cancer. She plays a vital role in protecting the female Gypsy children and organizes workshops to impart basic techniques of self-protection against physical abuse. 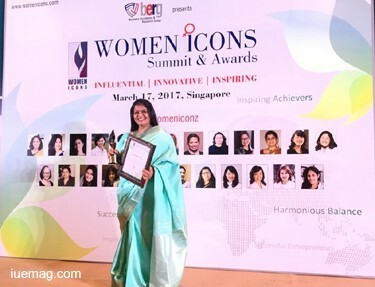 Undoubtedly her work has given her ample recognitions with numerous awards which include Pride of India — 2016 awarded by CNBC and 1000 Petals Foundation, Women Achiever of the year — 2016, Leading Women Entrepreneur by II Global during the month June 2014, Leading Women Entrepreneur”, was awarded by II Global during the month June 2014 and many others. Srimathy’s vision definitely brings a lot of hope for India and its youth! We are absolutely proud of her work and wish that she becomes the reason to create many more future scientists, not just in India, but around the world, who shall bring pride to their nations.